I never noticed before, exactly how beautiful the blossoms of apple trees are. The buds are as beautiful as any rose buds I’ve seen. Rose colored buds, opening to a white flower with a yellow stylus is one of my favorite combinations so these blossoms rank very high on my flower beauty scale. 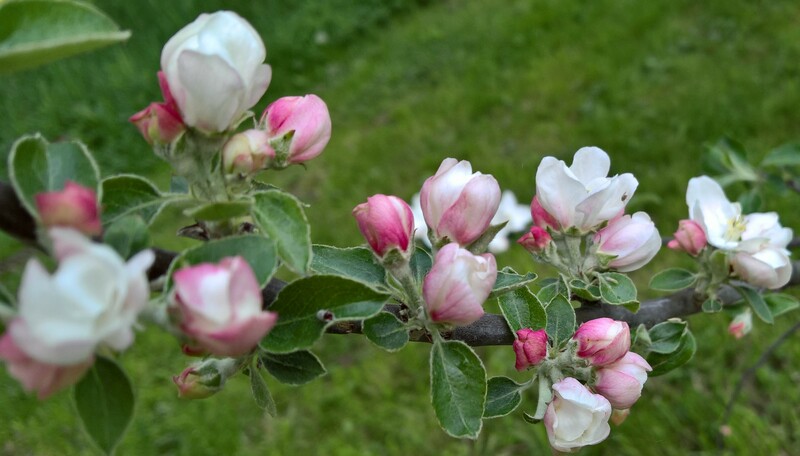 We have one mature apple tree and we planted three others last year and they are all blooming so beautifully. 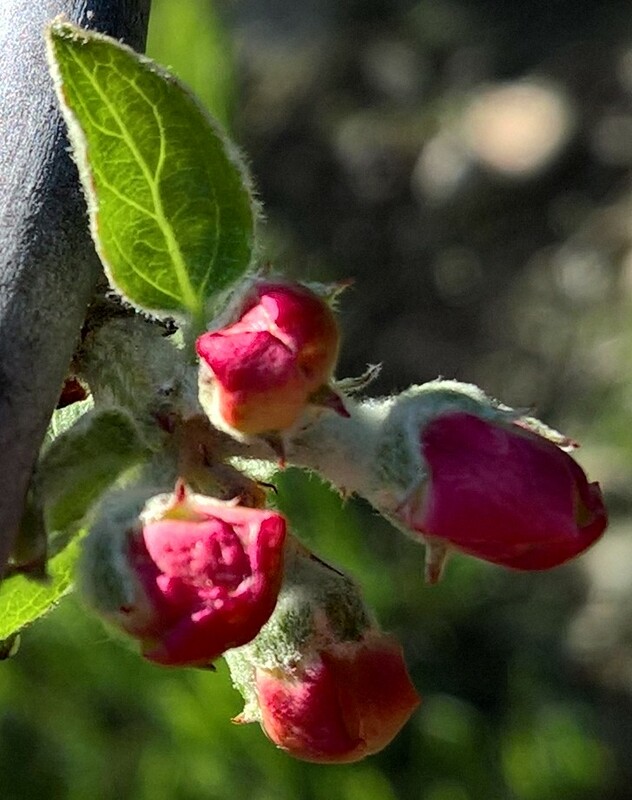 With our bees handling pollination, we are sure to have a good crop of apples this year. Here are some of the blooms we’ve been enjoying. 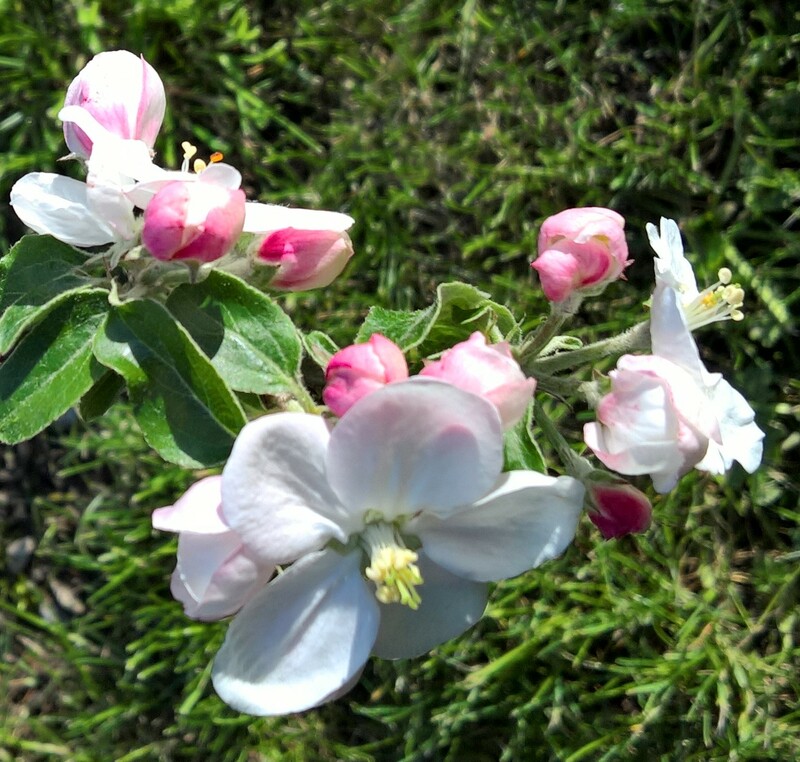 Gallery | This entry was posted in Gardening and tagged Apple Blossoms. Bookmark the permalink.